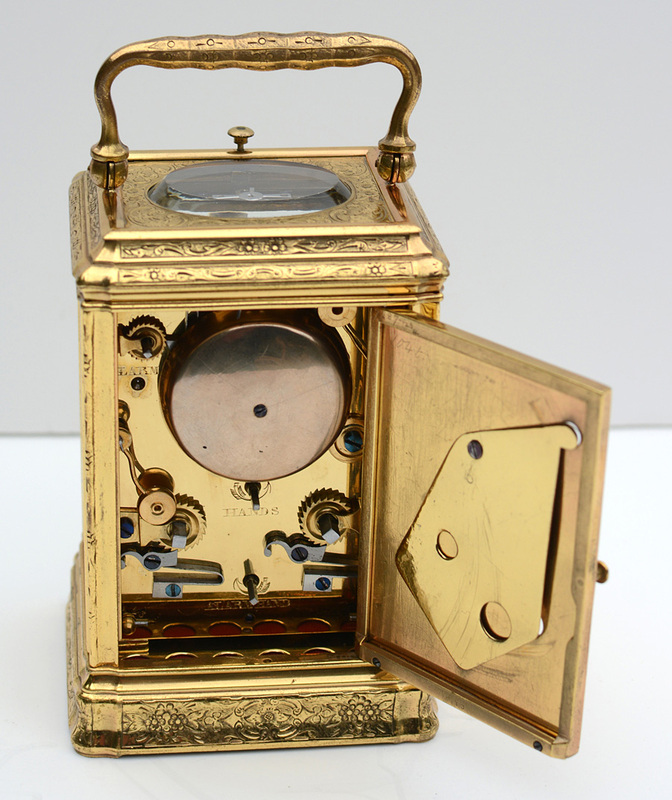 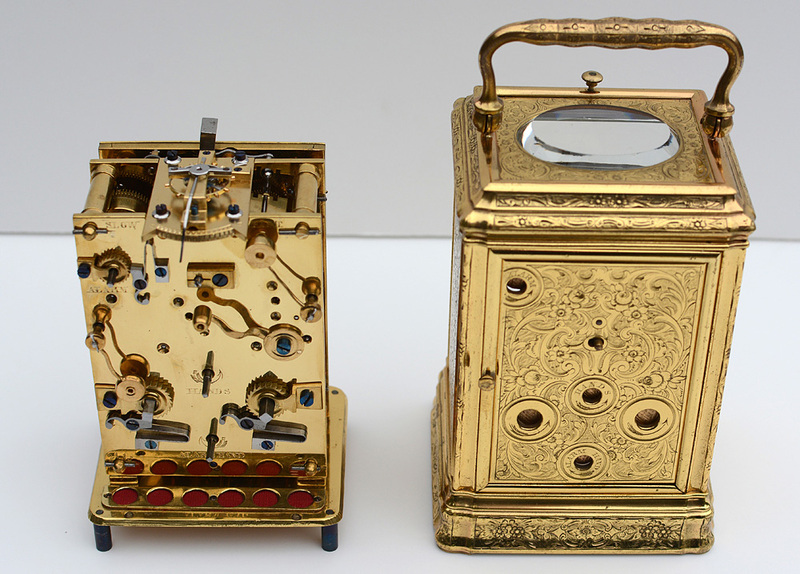 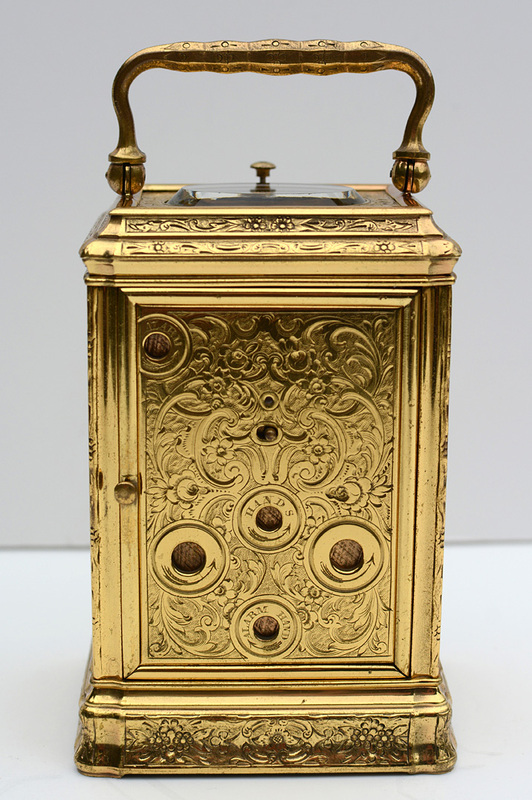 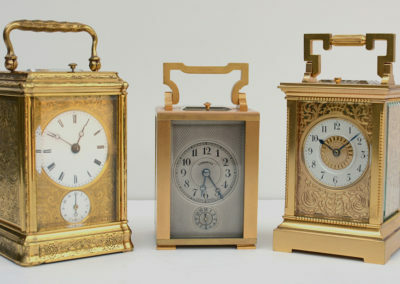 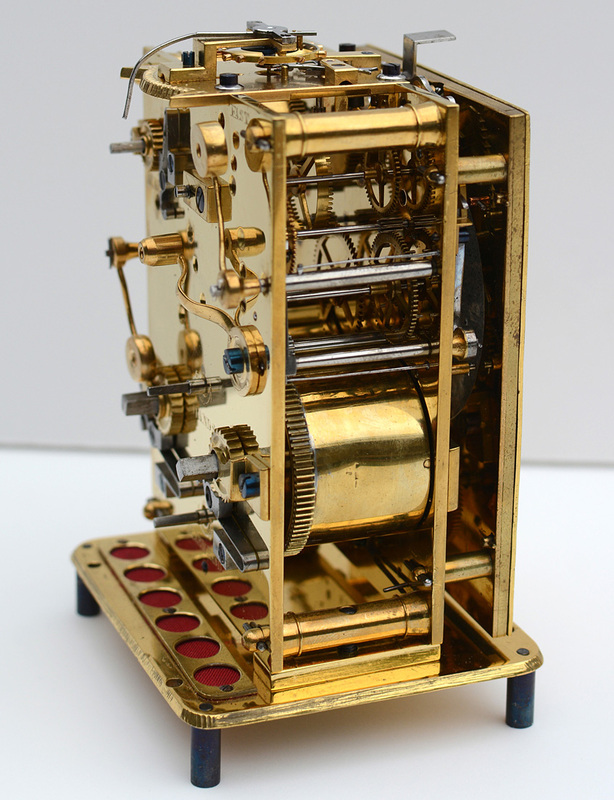 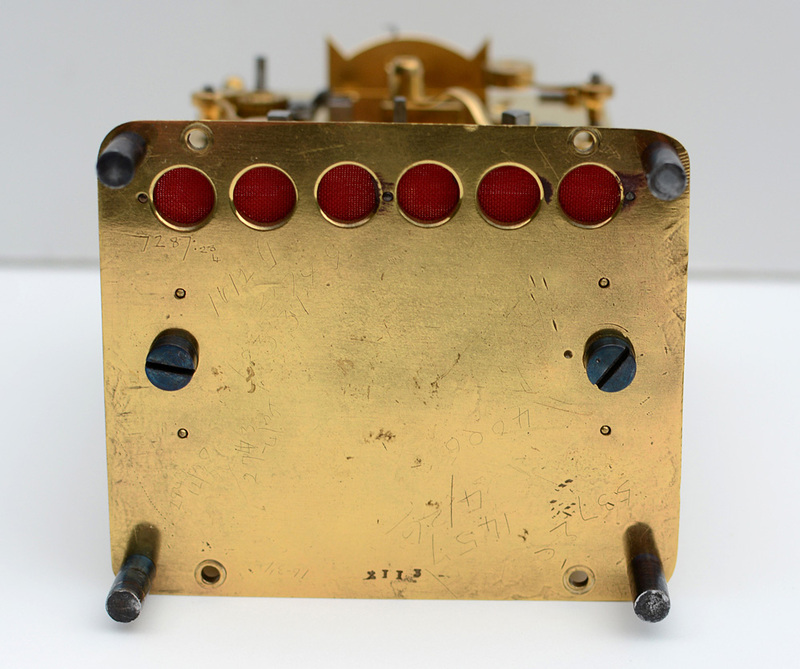 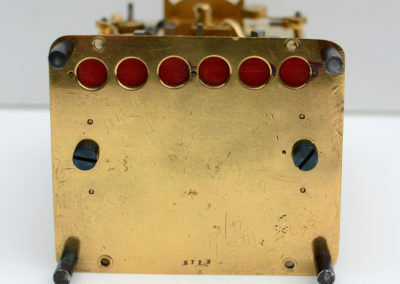 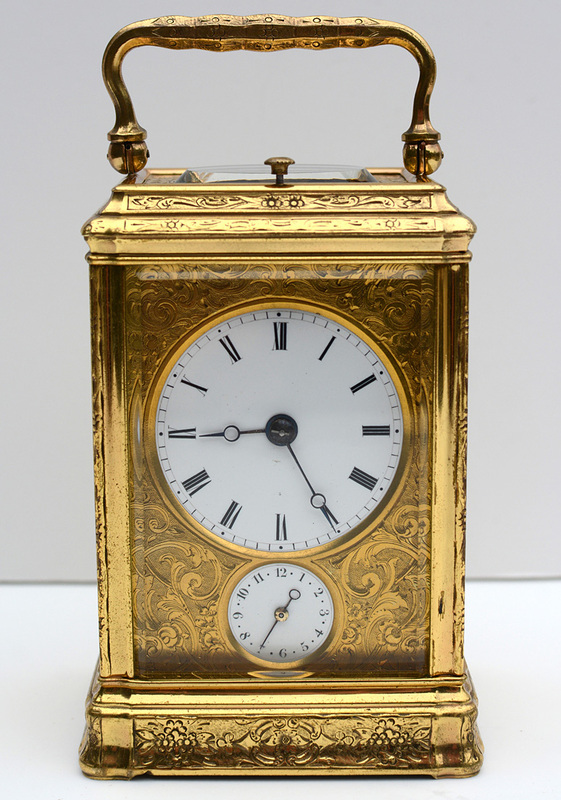 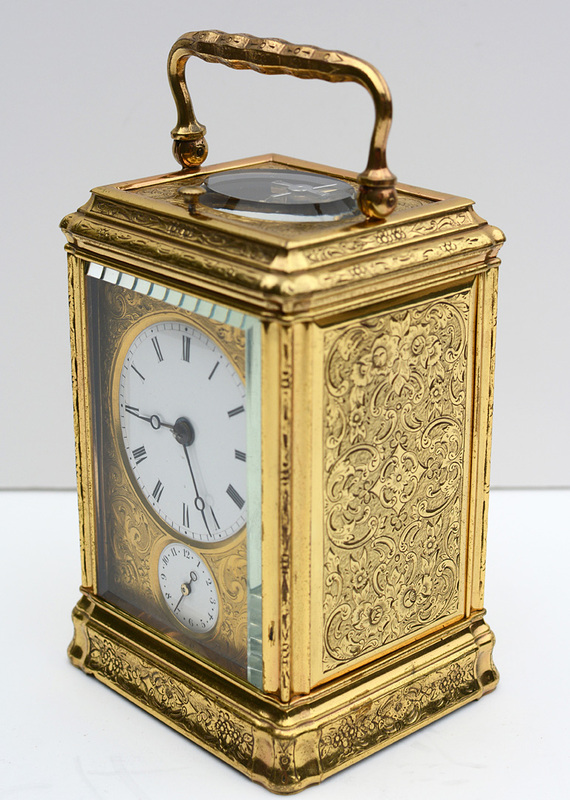 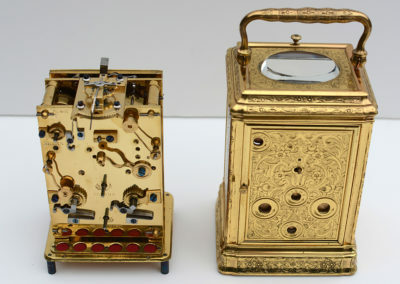 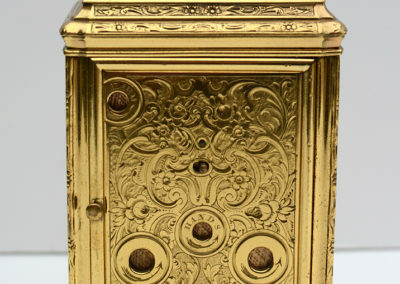 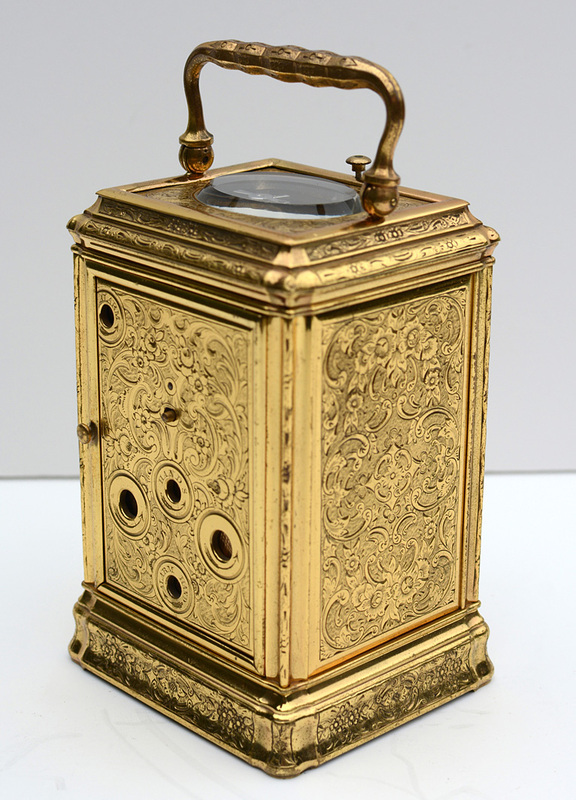 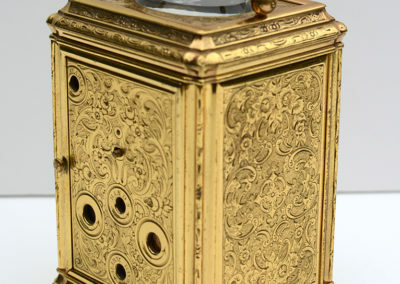 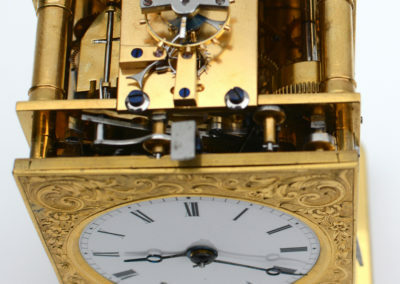 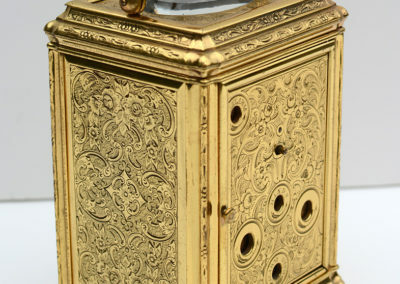 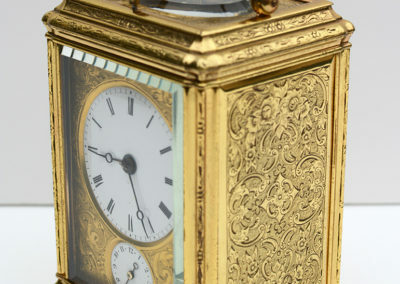 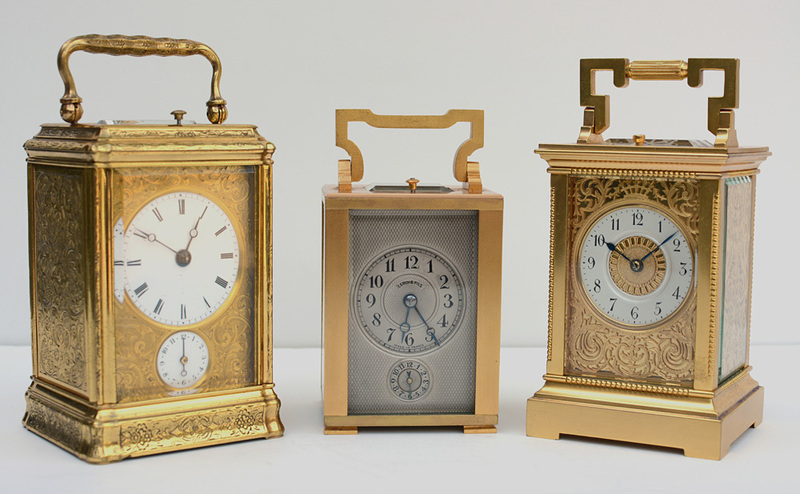 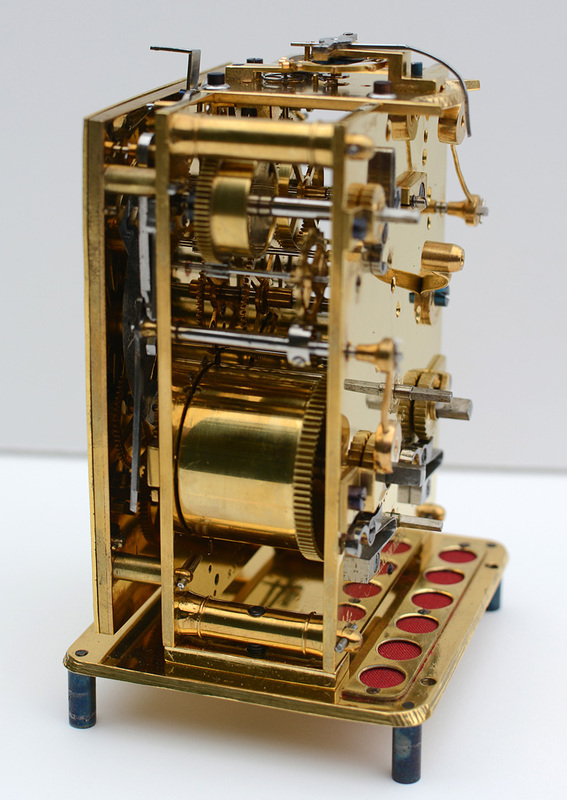 Small engraved carriage clock with alarm, repeat, and striking the hour and half hour on a bell. 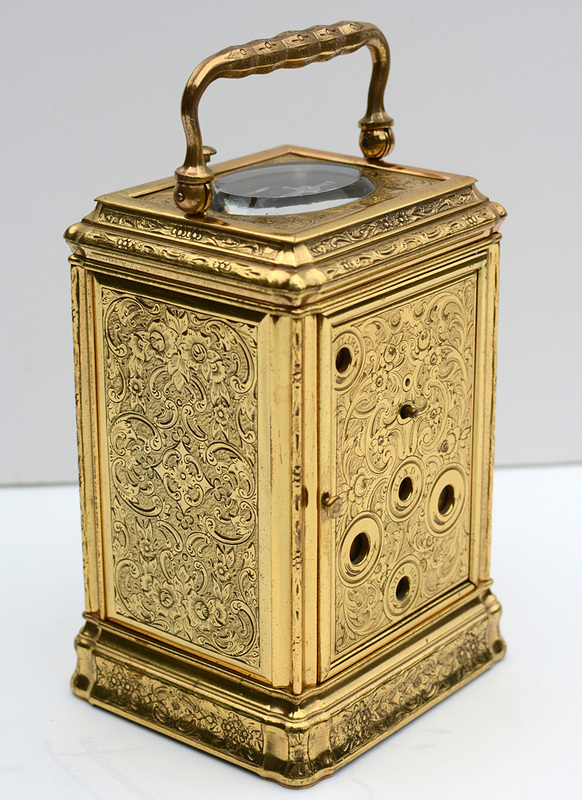 Beautifully engraved Gorge case with sliding dust covers for all arbors. 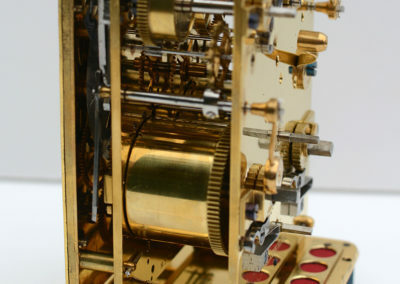 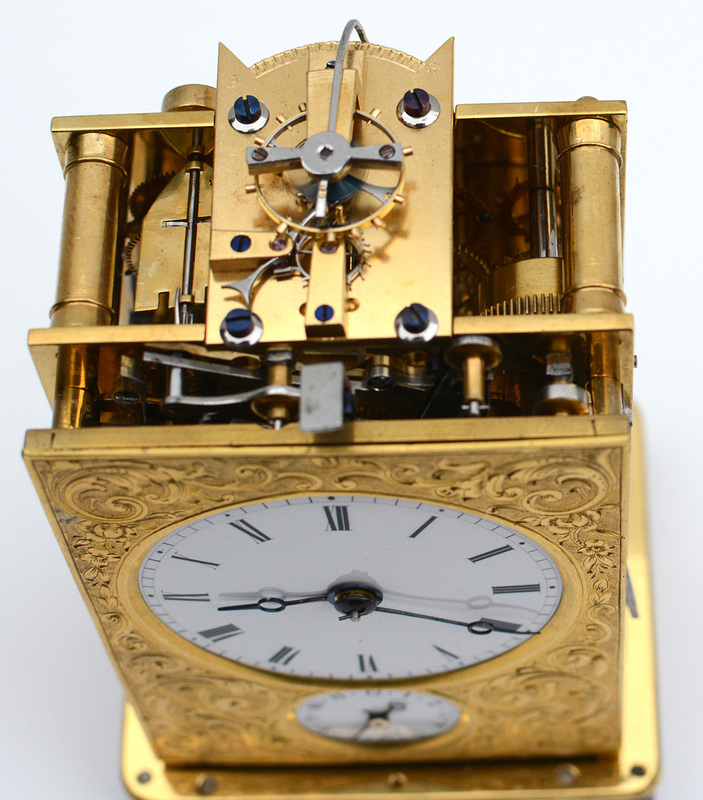 High quality Swiss anchor escapement and 8 day movement. 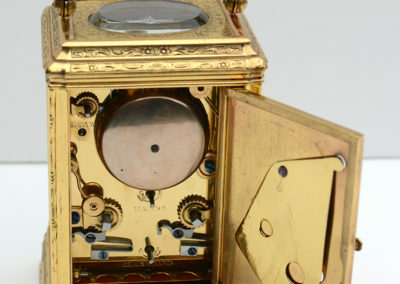 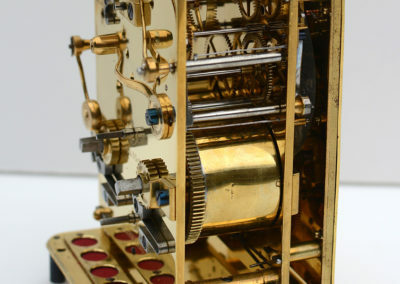 The case and movement numbered 2113. 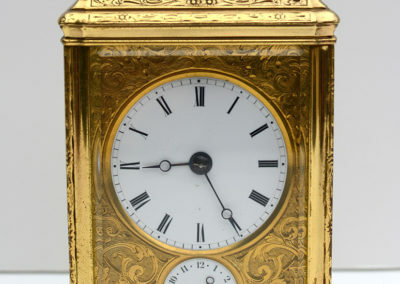 This clock has been professionally cleaned and runs very well.